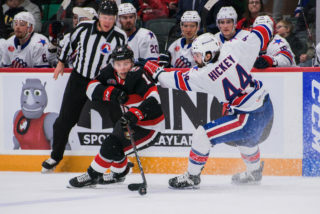 It’s the game everyone around the AHL has had circled on their calendars for a while as the Belleville Senators and Utica Comets do battle in a gigantic contest in the North Division playoff race. 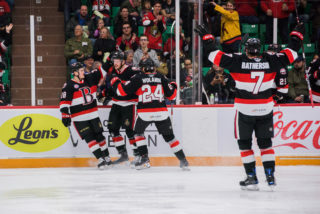 Belleville (32-25-3-5) comes into tonight’s game holding onto the fourth and final playoff spot in the North where they hold a four-point lead on the Comets, as well as the Monsters, as the Sens look to remain in control of their destiny. Utica (30-27-6-2) has been holding onto fourth spot for the majority of the season but have been in a recent downfall that has seen them go 1-8-1 over their last 10 games, and coupled with Belleville’s recent 17-game point streak, now find themselves on the outside looking in of a playoff spot. The Senators are 19-8-1-3 at CAA Arena this season while the Comets are 13-14-3-2 on the road. 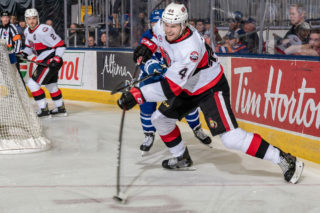 The Sens also boast the third best home power play in the Eastern Conference at 22.3 percent while their 208 goals are the sixth most in the AHL. 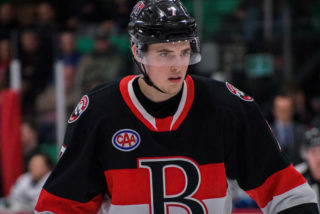 Filip Gustavsson, Boston Leier and Aaron Luchuk are back with Belleville after spending some time in Brampton. 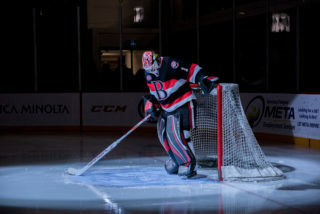 Marcus Hogberg is expected to start tonight for Belleville but expect Gustavsson to get a start either Friday or Saturday night. The Swedish netminder last played an AHL game on Feb. 9 as Hogberg has started the last 14. Tonight’s contest is the final match-up this year between the two sides. Belleville is 3-2 this season against the Comets and have won both games at CAA Arena. The Sens won the last meeting 5-2 on Jan. 19. 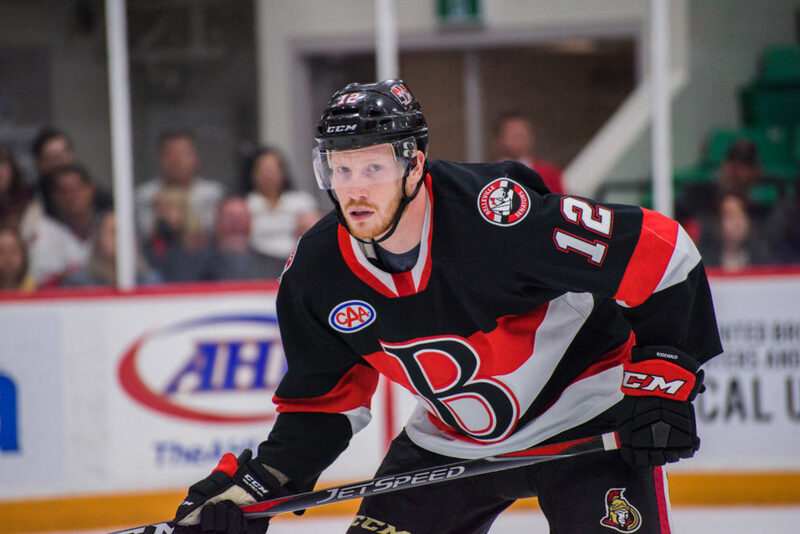 Former Comet Darren Archibald will be looking to bury his old team as he looks to guide Belleville into the playoffs. 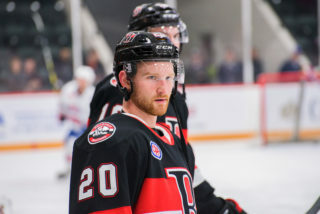 Archibald has played 19 games since joining Belleville where he has seven goals and 14 points. Reid Boucher continues to be an elite player in the AHL as in 48 games this year, he has 55 points. His 27 goals are tied for seventh most in the AHL this year. Wednesday’s game starts at 7:00pm and can also be seen on AHLTV as well as Facebook Watch. Fans can also watch tonight’s contest at Shoeless Joe’s in Belleville.